Have you ever accidentally deleted photos or lost photos of SD Card from your android? That will be very frustrating if you lose your vital photos from the android phone you trust that much. Now let's guide you to recover it with few steps. This will be your starting point and it will entail connecting your android phone or device to the computer system using the USB cable. Make sure the USB debugging mode has been enabled. Once that has been done, the computer will have no problems in detecting the device you have connected. Tip： In case that fails, you should recheck debugging to be sure its active. After you are through with the first step, click on the “next” button and have the software analyze data in the device. Tips: This is called scanning and you must ensure the battery is at least 20% charged all along. The scan will help you to note all the photos that have been deleted or lost to choose the specific ones to recover. You should not recover everything but only the photos you need. Tips: this is one way of simplifying the scanning process. The software program will ask you to specify the type of files that you want to recover which you should do. 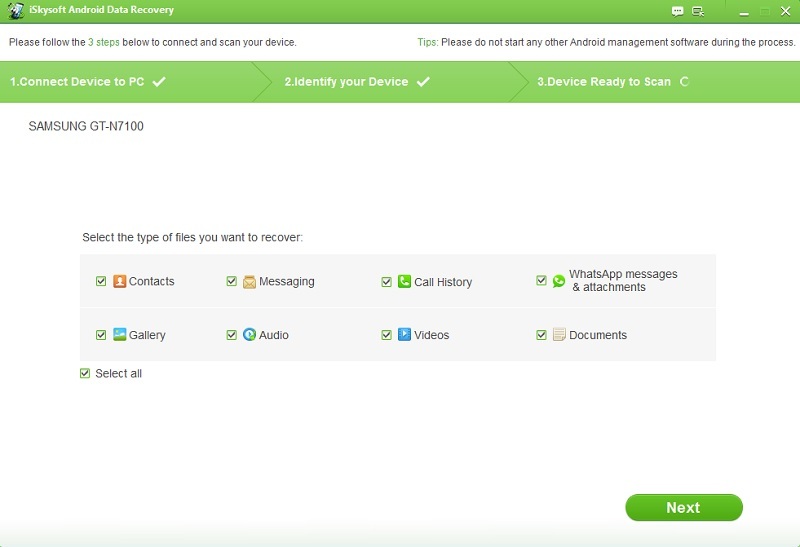 It will make the process of recovering photos from your android device fast and easy since you will recover only what you want. This is the last step and will come immediately after you have previewed the photos to recover. Go through all the files and select those you want recovered. You need to check the boxes showing by the side of every photo and then click on the button marked “recover”. 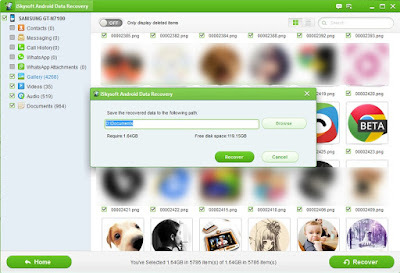 It is very easy using iSkysoft to recover photos from android. There are times when you experience difficulties but it's all on the manner in which the recovery process is conducted. Rare are the times when the software program will experience problems. 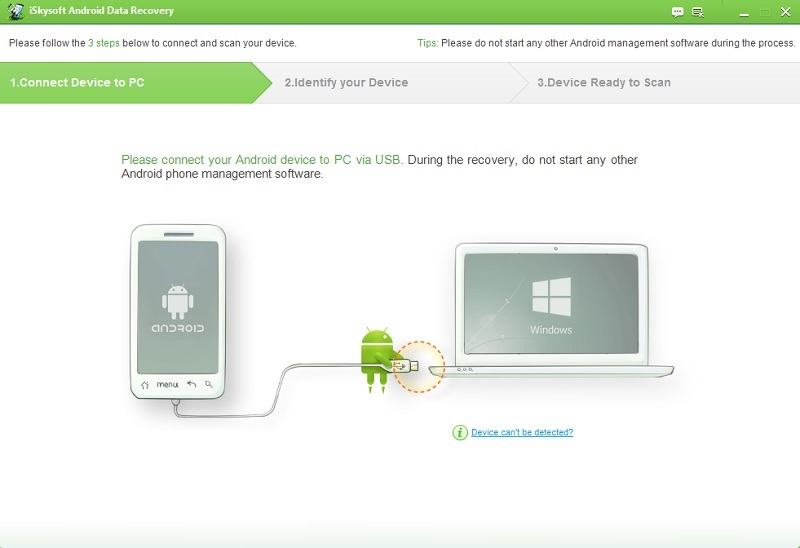 Will you ask me what type of android device can support by iSkysoft Android Data Recovery? The answer is you will have unlimited options. 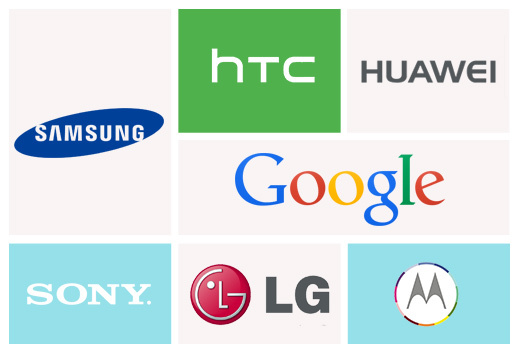 It supports more than 6000 different Android devices for recovering your data from android (including photos). I guess you are assured of having the best user experience recovering lost data on android with this software. If you have any question about how to recover, don't hesitate to contact iSkysoft Team. 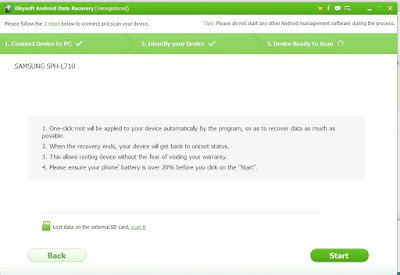 Just like many other software programs, iSkysoft Android Data Recovery has undergone a lot of upgrading to make it efficient. And it will provide more advanced functions after upgrading. What's more, all upgrades are free. Now let's see what's new. If you are tired of spending all your time scanning files, this iSkysoft program will be a good fix to that. It comes with high scanning speeds. With just a single click; you will get to recover your photos as fast as possible. Gone are the programs that you had to use the third party tools to root your device. Tips: After rooting, it will get back to your unroot status without worrying warranty. This improves its compatibility and enhances user experience in a big way. 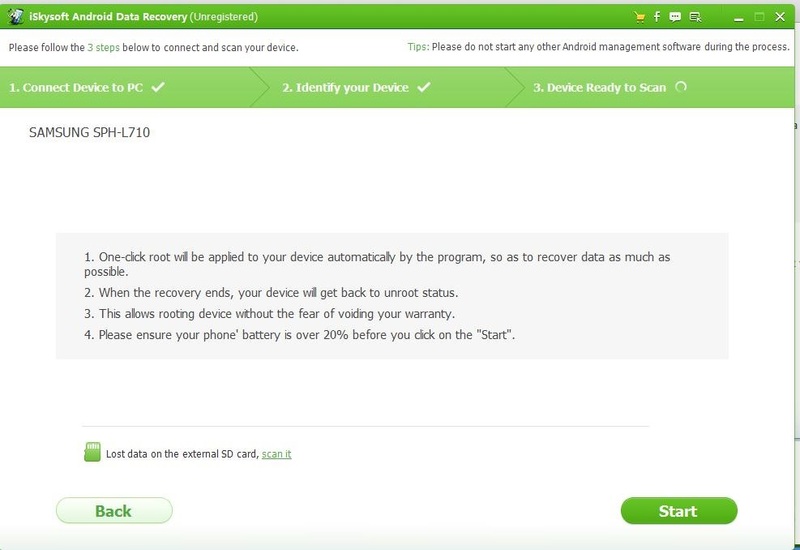 Will you ask me what type of android device can support by iSkysoft Android Data Recovery? The answer is you will have unlimited options. It supports more than 6000 different Android devices for recovering your data from android (include photos). I guess you are assured of having the best user experience recovering lost data on android with this software. If you have any question about how to recover, don't hesitate to contact iSkysoft Team.